WTD08. Collection of Mr. Teng Kuan Yin. Abstract and a tribute to popular flower watercolorist Shirley Trevena. 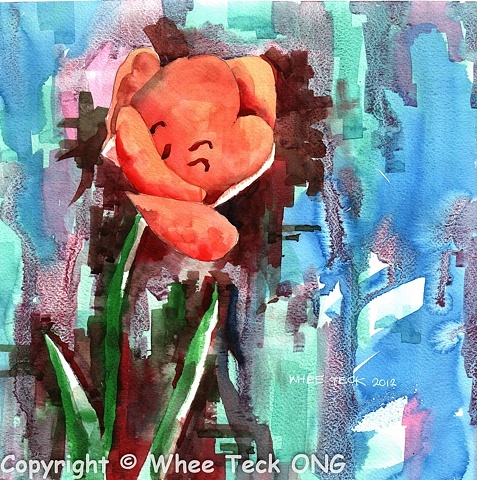 Whee Teck read Shirley's books and was totally enthralled by her unique style, Sometimes an artist find inspirations and ideas from other more mature artists. Although in this painting, Whee Teck is not coming even close to Shirley's style, some of the ideas in design are somehow put into Whee Teck's repertoire or if you like "bag of tricks."